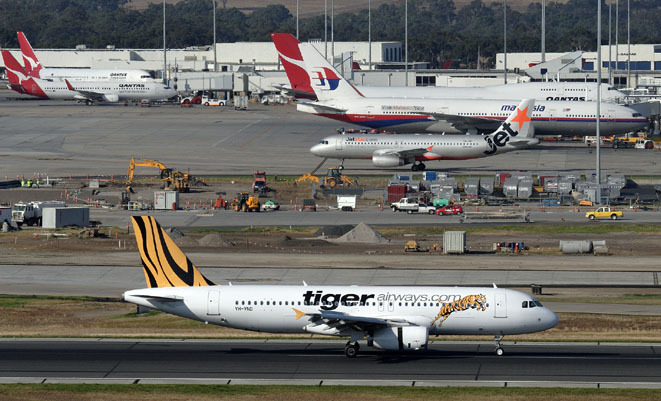 Melbourne Airport says a difficult year for Tiger and Qantas is to blame for a decline in domestic passengers. Melbourne Airport recorded 8 per cent growth in international travel but a 2 per cent decline in domestic passengers for the financial year ending June 30 as overall passenger numbers were flat on a year-to-year basis. 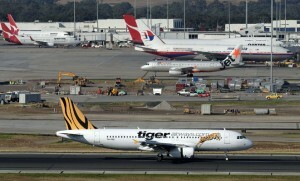 Airport CEO Chris Woodruff attributed the drop in domestic travel to the grounding of Melbourne-based Tiger Airways and the labour disputes that affected Qantas, but said he expected increasing competition between Australian carriers to lead to lower fares and more travelers. “The introduction of more capacity on domestic routes and price competition among the airlines will undoubtedly help stimulate domestic travel in coming months,” Mr Woodruff said. Total passenger numbers for the fiscal year reached 28.2 million, of which 21.46 million were domestic. International growth was driven by strong demand from Asia, with travel by Chinese passport holders up 22 per cent over the previous financial year.